We are responsive to a dynamic, diverse environment serving as a catalyst and the champion for full, meaningful community life for all individuals. To support individuals in the pursuit of their chosen goals and the achievement of personal satisfaction in their lives. Services To Enhance Potential (STEP) is a non-profit organization which provides supports and services to nearly 1,300 persons with disabilities and other mental health needs in Wayne County. A major goal of Services To Enhance Potential is to increase the number of persons who are employed, self-employed, and volunteer in their communities. 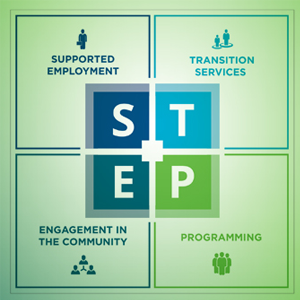 STEP provides and supports a variety of employment and self-employment options. 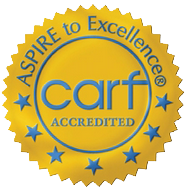 We were founded in 1972 to bring an employment focus to individuals with a disability and have developed a strong reputation in the community for doing so.